In the event of dangerous chemicals making contact with eyes, you need to take action as quickly as possible to avoid any further injury. The Emergency Eye Wash Station provides immediate relief to irritated eyes before seeking out full medical evaluation. Employers have a legal obligation to make arrangements to ensure safety for their employees and that they receive immediate attention if they are injured or taken ill at work. Having first aid provisions readily available can save lives and prevent minor injuries becoming serious ones. What is Included in the Emergency Eye Wash Station? 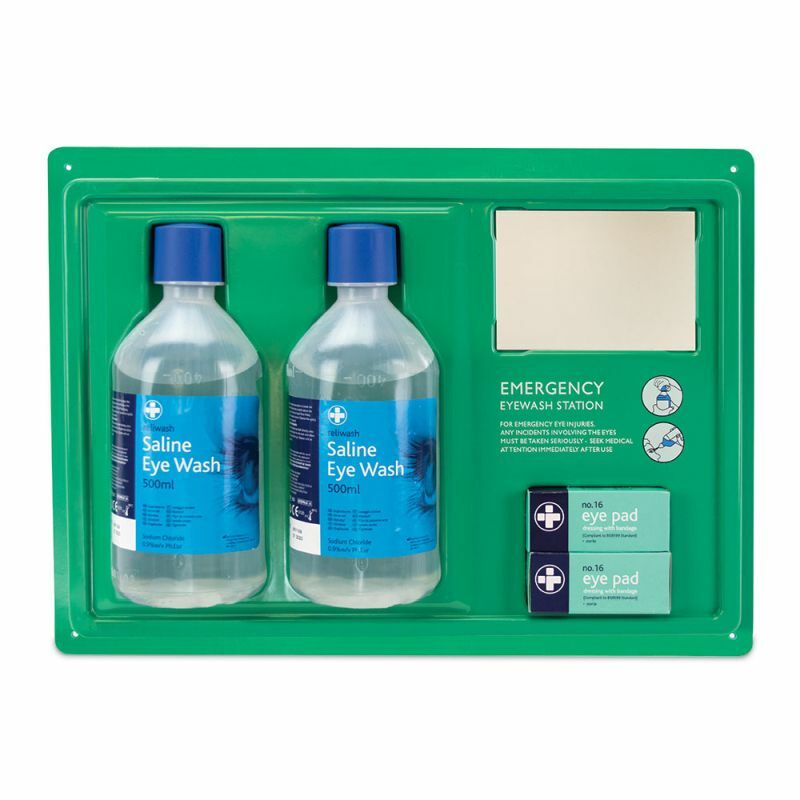 Essential for high risk areas, this high visibility eye wash station has all the basic eye wash provisions on display and is easily reached, with instructions on how to effectively wash the eyes printed directly onto the packaging. The built-in mirror on the station makes for accurate self treatment before a full medical examination is carried out. 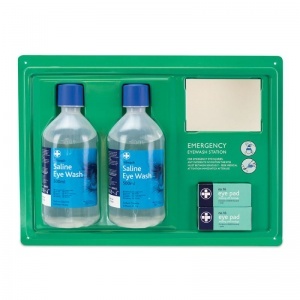 The Emergency Eye Wash Station is usually dispatched via First Class Royal Mail and delivery should be within 1 to 3 working days.